This month, we’re developing a brand new responsive website for one of the world’s biggest and best tattoo machine brands, Stigma Rotary. 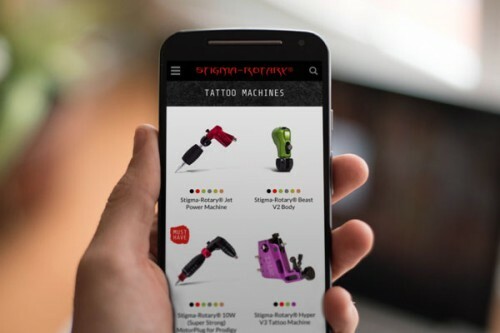 With a dedicated following from top tattoo artists, Stigma Rotary required a new website that would showcase their growing range of high quality tattoo machines, cartridges and parts, whilst working seamlessly on all devices. The new site will allow customers to select official distributors by country, to view video demos of their tattoo machines and find detailed artist galleries.